The Washington Huskies fortified their future secondary Wednesday by securing a commitment from class of 2018 safety recruit Julius Irvin. Irvin is listed by 247Sports as a 4-star prospect who rates as the No. 155 overall recruit, No. 12 safety and No. 23 player from the state of California. Throughout his recruiting process, Irvin was among the most highly sought-after prospects in the nation, as he received over a dozen scholarship offers. According to 247Sports, USC, UCLA, Washington, Oregon, Oklahoma, Notre Dame and Nebraska were among the top programs that pursued him. With so many options at his disposal, Irvin made it clear in March that he wanted to take his time before deciding, per Brandon Huffman of Scout.com: "I don't really have any schools standing out to me right now. I won't start to narrow it down until the summer, so none are sticking out right now. I'm just staying open-minded and looking at schools with great educations. And anywhere is fine, I'm not focused on one part of the country." Irvin has long had promise, but he truly came into his own and developed into a top recruit during the 2016 season. The Anaheim, California, native has decent size at 6'2" and 182 pounds, and he is both speedy and agile enough to close on the ball with regularity. Playmaking safeties have the ability to change the entire complexion of a defense, and Irvin undoubtedly has the potential to be that type of player. With additional seasoning, the Servite High School standout possesses the skill set needed to develop into one of college football's top defensive backs. In securing Irvin, the Huskies scored a major coup, as they managed to stave off advances from Pac-12 rivals such as UCLA and USC. 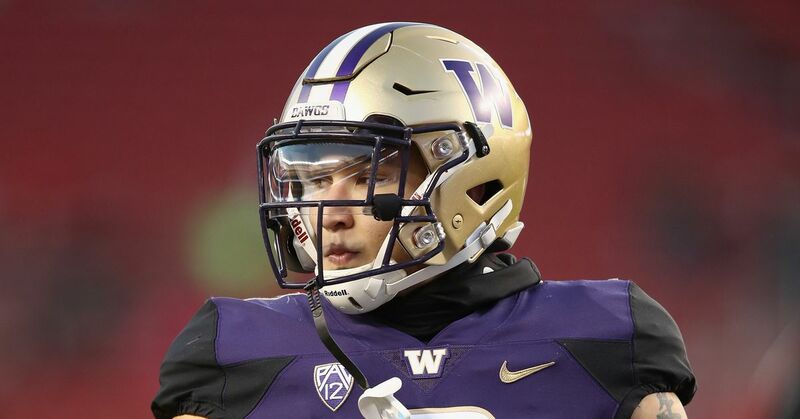 Washington returned to prominence during the 2016 season by reaching the College Football Playoff largely because of the play of its dominant secondary, and Irvin could eventually replace current Arizona Cardinals safety Budda Baker, provided he lives up to his immense promise.